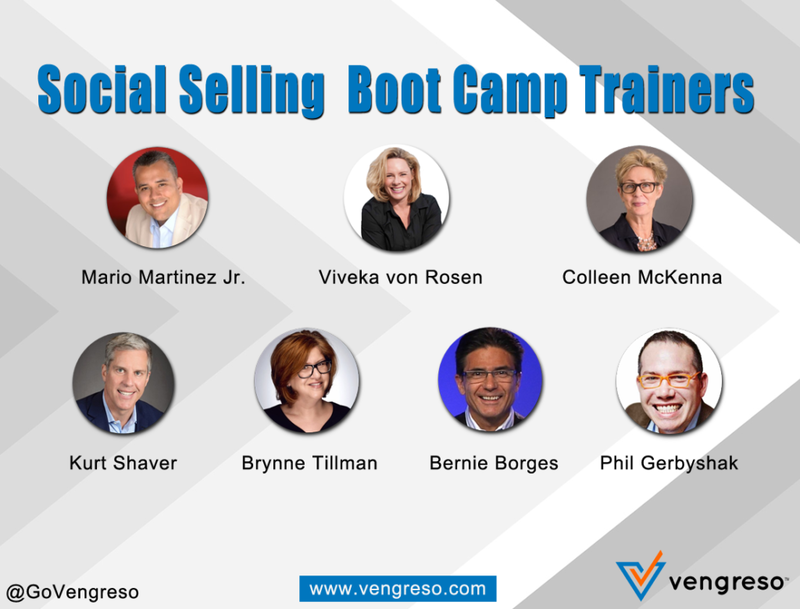 "This social selling training boot camp will be fun and wildly productive," says Mario Martinez Jr., CEO of Vengreso. "Attendees will accelerate their digital sales skills after attending our virtual boot camp." 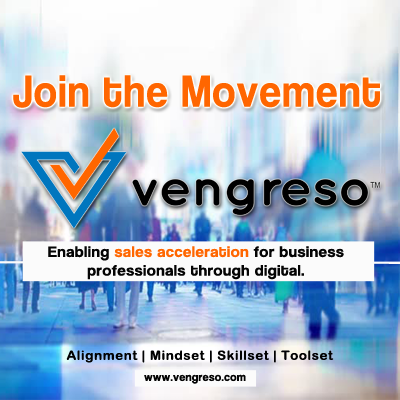 Vengreso announced today availability of its first social selling training solution to be delivered online, live by all seven founders. The Vengreso Social Selling Virtual Boot Camp is a four (4) week live training course that includes a blended learning program featuring both live sessions and self-paced practical and tactical activities. The Boot Camp begins on July 13th with the first weekly live class followed by July 20th, 27th, and August 3rd from 12pm to 1pm ET. This social selling training program is designed for sales professionals of all size companies and all levels of experience. Vengreso’s Boot Camp serves both those who have no previous digital sales experience and professionals who use LinkedIn and social selling frequently but are looking to hone their skills and develop an actionable playbook. July 13th: Develop a client-centric profile that attracts, teaches and engages potential buyers. July 20th: Grow professional network of clients, prospects and partners. July 27th: Engage your network with relevant messaging and commercial insights that gets them thinking differently about their current situations and moves them toward the company's solution. August 3rd: Gain access to buyers, influencers and stakeholders by leveraging the current network and meaningful interactions. Collectively, the Vengreso founders have trained more than 85,000 professionals across more than 2,000 companies from the enterprise to the small business professional. All sessions will be recorded, giving all attendees access to the training at their leisure. Information and registration is available at: https://vengreso.com/services/virtual-social-selling-training-bootcamp.